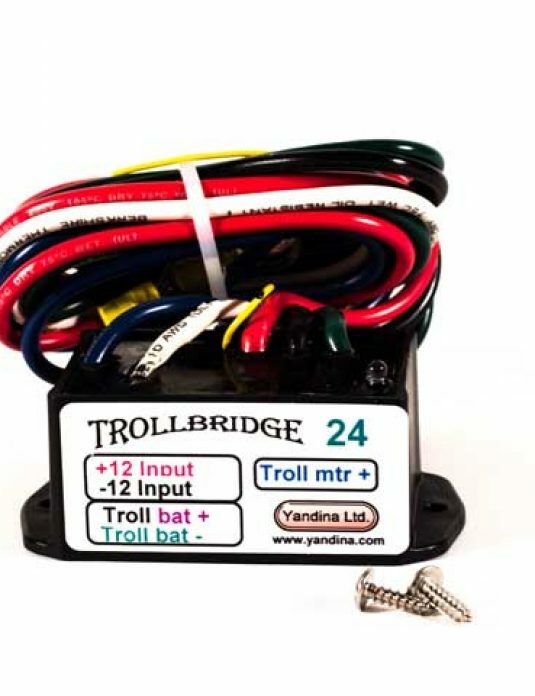 The Trollbridge12X24® Combiner allows you to charge your 24 volt trolling motor battery from the 12 volt alternator on your main engine or trailer hook-up without any risk of discharging your starting battery. 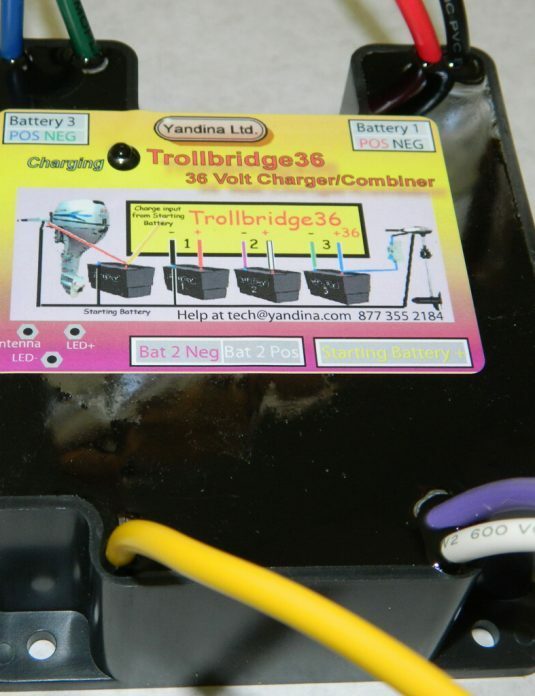 It works by automatically putting two 12 volt batteries in series when you need to run the trolling motor and in parallel for charging. 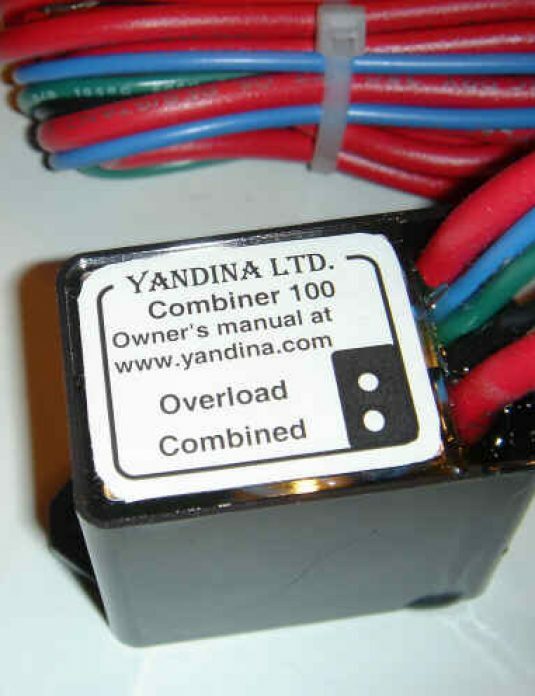 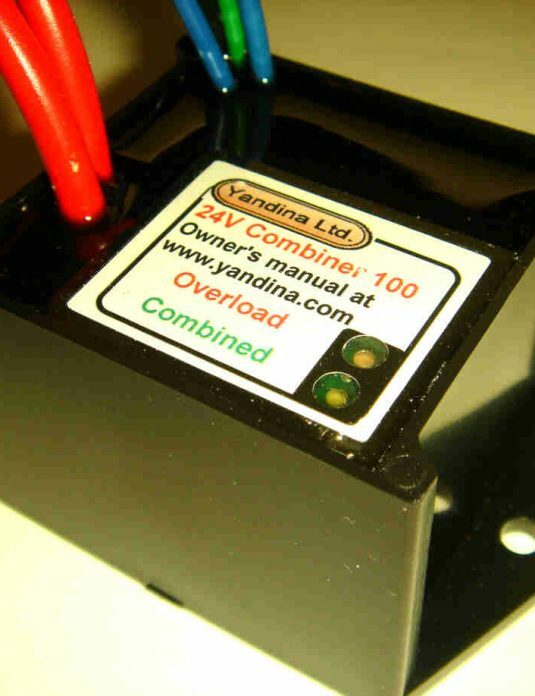 Charging is automatic when the main engine is running and the starting battery has at least 13 volt charge. 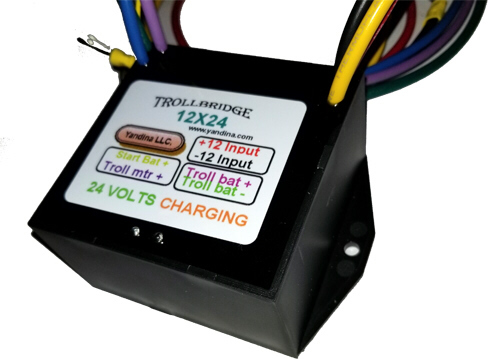 It is bi-directional so when not trolling, the trolling booster battery backs up your starting or house battery.